Justice and Correctional Services Minister Michael Masutha has faced a barrage of questions from Members of Parliament on his department’s contracts with African Global Operations, formerly known as Bosasa. He was briefing Parliament on the status of the company’s contracts and their implications on the department. African Global Operations has been at the centre of the Commission of Inquiry into State Capture with bribery and corruption allegations. 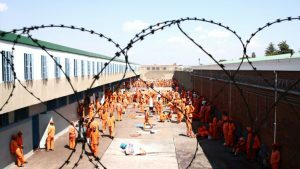 The company has contracts including the provision of catering for correctional centres. The department has paid the company about R7.1 billion since 2004. The post Masutha questioned about Bosasa contracts appeared first on SABC News – Breaking news, special reports, world, business, sport coverage of all South African current events. Africa's news leader..